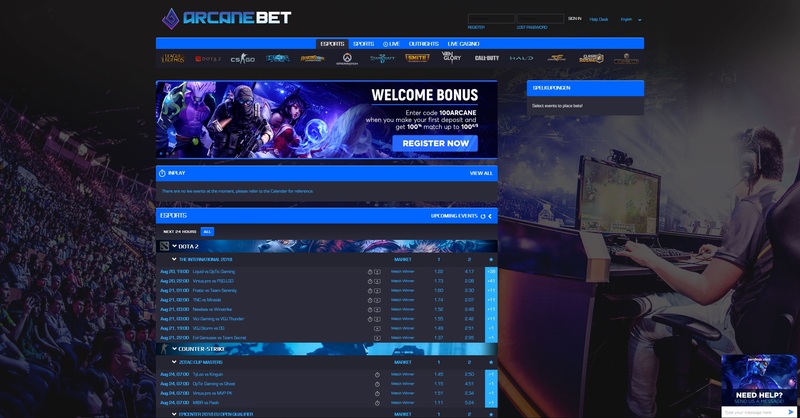 ArcaneBet is another eSport niched betting site. Even though the company is only a few years old they have showed that they are one of the best companies among the eSports betting competition. With a wide coverage of games and a strong focus on Counter-Strike: Global Offensive they will continue to grow and develop their eSport betting platform. As an eSports focused sportsbook ArcaneBet cover most eSport games and have odds up on all the large game titles all around the clock. There is simply always a match to place a bet on! But that is not what makes ArcaneBet stand out against the competition. The aspect that makes them unique are the coverage of smaller titles like Smite, Halo, Vain Glory, CrossFire and World of Tanks. In addition to this they also have odds on some Clash Royale events. The mobile game that have been very popular around the globe, and especially in Asia. 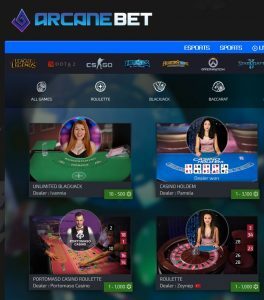 This is truly unique and the employees at ArcaneBet view the mobile game as any other eSport. ArcaneBet does not only cover all the CS:GO Majors but also minor offline tournaments and online leagues and tournaments. Shortly put, they have a full CS:GO coverage which also includes Live Betting on selected events. The Live Betting product is available for all Major CS:GO tournaments like the DreamHack Masters, FaceIT Major London and also other large eSport titles like Dota2. A great welcome / deposit bonus! When you are looking to place your CSGO bets there are also a wide variety of bet types to wager on. As usual you can place match-bets but there are also the opportunity to place outright bets (which player or team that wins the whole event in question) as well as some specials like which team will win the pistol rounds, what player that makes an all-kill (or Ace). In addition to this they often have map bets where you have to predict which team wins which map etc. ArcaneBet offers all new customers a deposit bonus of 100% up to €200! This is a great bonus and the requirements for clearing the bonus amount is 12x (that means that you have to wager the bonus amount that many times before you can cash it out). The multiplier of 12 is rather low compared to the industry standard. Claim the ArcaneBet bonus - 100% Up To €200! 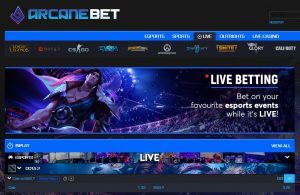 In addition to the eSports betting products Arcane Bet also have a live casino, available 24/7 to all customers as well as regular sports betting markets for sports like Basketball, Tennis, Ice-Hockey and Soccer. The live casino is an excellent product which fits perfect in their product offering when you want to place some quick bets in between the twitch commercial breaks. The withdrawals are often limited to the same payment method as you deposited your money with. This is an action against money laundering and is something ArcaneBet must comply with. The cashout times are usually quick and you normally have your money within a couple of days.